Phillies top shortstop prospect J.P. Crawford will make the jump to the big leagues Tuesday in New York. The Lehigh Valley IronPigs apparently enjoy a little bit of drama. They had to win their final game of the 2017 regular season to clinch a berth into the International League playoffs on Monday. 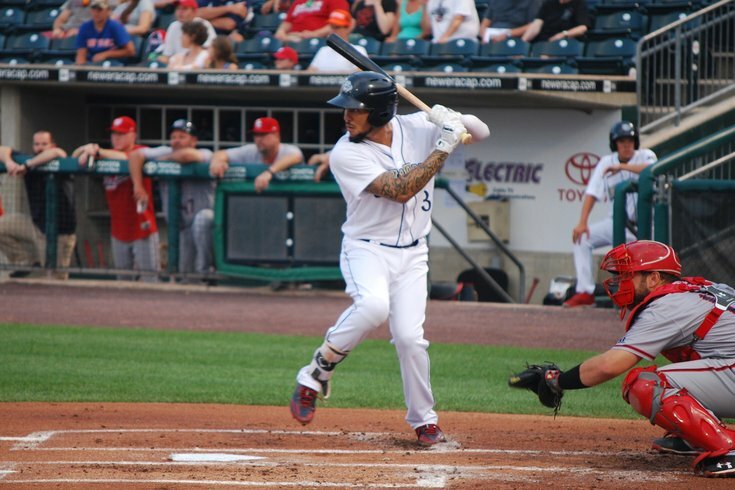 Put me in coach, I'm ready to play – Galvis, in center field? How will Mackanin juggle roster crunch of September call-ups? And win they did, thanks in part to J.P. Crawford's two-run home run in the first inning. The home run was Crawford's 15th of the season. But the Pigs' postseason-clinching win will not delay Crawford's arrival to the big leagues. A source confirmed on Monday afternoon that Crawford got word following the IronPigs Labor Day victory that he'll be called up to the major leagues for the first time prior to the Phillies game against the New York Mets at Citi Field on Tuesday. The 22-year-old Crawford hit .243 in 126 games with the IronPigs this season. But that number is somewhat deceiving: Crawford's bat has been hot for nearly three months now, sporting a .900 OPS since June 10. In that 72-game span, Crawford has slashed .282/.380/.520 with 13 home runs, 16 doubles, and five triples. The 13 home runs in that time frame are nearly twice as many as he hit in all of 2016 (seven in 123 games). Crawford talked about his torrid turnaround after a tough first calendar year in Triple-A late last month – and credited some critical media for some motivation to get him going. Crawford, who has been the top position player prospect in the Phillies system for the majority of the last three years, could see time all over the infield in the 25 games remaining on the 2017 schedule. After playing shortstop exclusively in his first five seasons in the minor leagues, Crawford began making regular starts at both third base and second base last month. The 2013 first-round pick (16th overall) is still considered to be the Phillies shortstop of the future. Current shortstop Freddy Galvis, the longest-tenured Phillies player, is due to become a free agent after the 2018 season. Crawford confirmed the news of his impending promotion to the Allentown Morning Call following Monday's game. JP on promotion: "Playoffs best time to play baseball, but big leagues sound a lot better. Been working at it since I was 5 years old." For more on Crawford, here's a Q&A with him from spring training.